I have been using CREST brand for nearly or over a year. 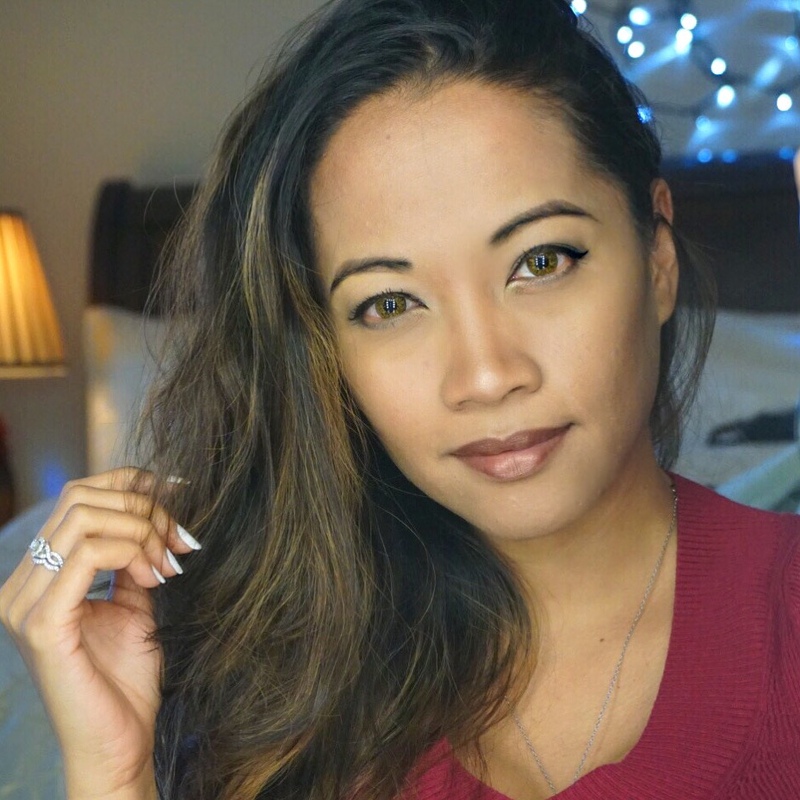 I get compliments on how white my teeth are, i would say, it does whitens my teeth =) and i am doing the right thing for my teeth! These are the list of Crest brand i have been using. 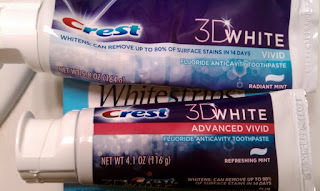 From 3D White vivid, i will try 3D ADVANCED VIVID toothpaste. I am not sure if there is a price difference between the two, i wanna see how advance vivid will do for my teeth. 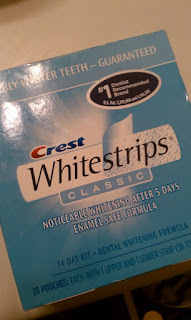 The next CREST product i have been using is the Original Whitestrips. I have 2-3 strips left in the box, i will get the 3D White Whitestrips Vivid Enamel Safe Dental Whitening Kit when i finished this box. I use this once or twice a week...but i admit i sometimes skip a week or 2 weeks using this. 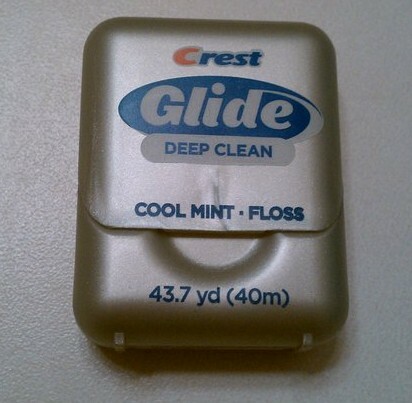 But i've use it constantly and i would recommend trying this, it does whitens the teeth. My teeth becomes sensitive (when i drink cold beverage) first few weeks using it but after a little while i noticed my teeth aren't too sensitive anymore. KEEP SHOWING THE WORLD THAT GREAT SMILE!